Yeah Racing 4mm Aluminum Lock Nuts are a great option when you need a light weight M4 lock nut. 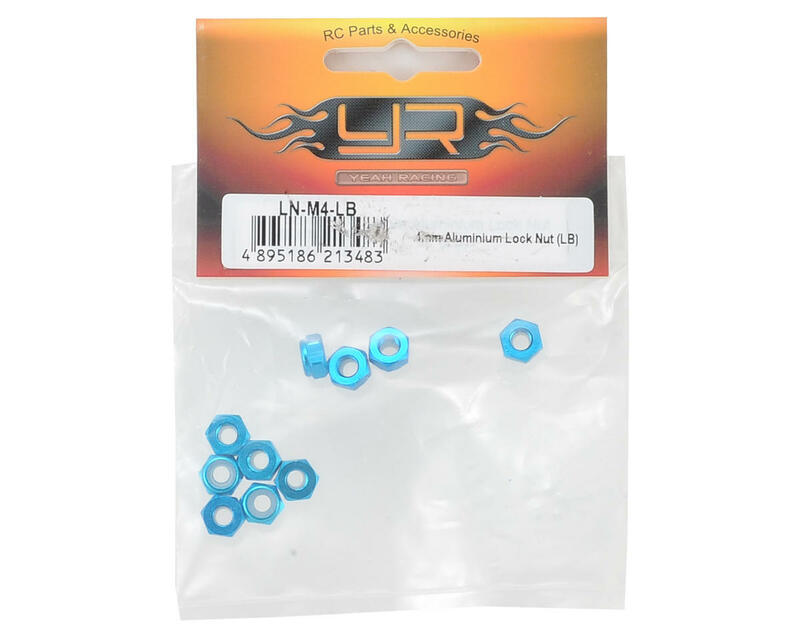 These are great for numerous applications, and are available in a variety of anodized colors. 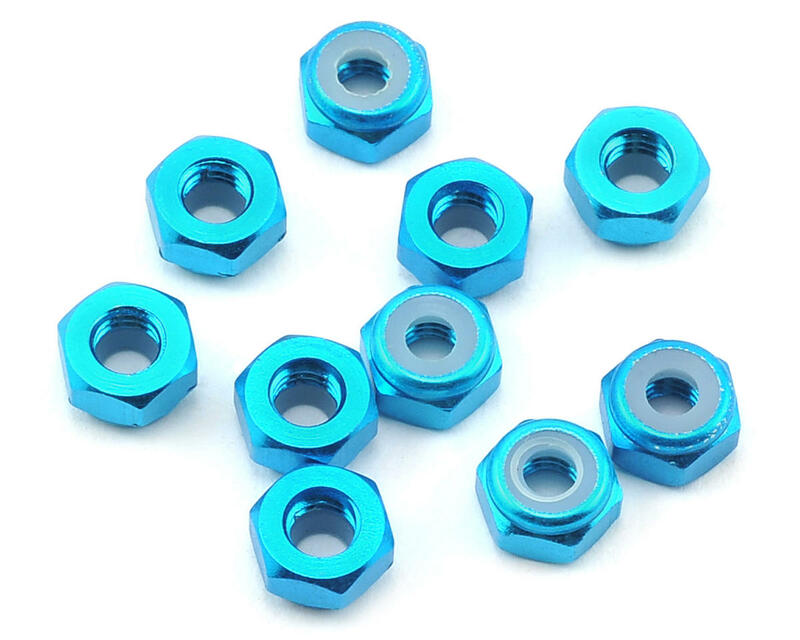 Package includes ten light blue anodized 4mm inner diameter nylon lock nuts.